New logo will be reserved for the cream of the BMW crop. Luxury automakers have been creeping down market in order to appeal to more consumers. This has resulted in cars like the Audi A3 and Mercedes CLA with prices that are just under $30,000. These models can successfully add sales volume to a luxury brand, but they do have a negative side effect. Adding “cheaper” models can sometimes dilute the cars at the high end of the model range. It hurts to know that someone paid less than half of what someone else paid to get into the same brand, but BMW has a plan to counteract this. 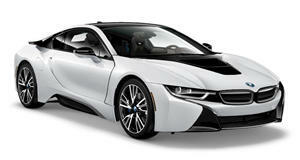 Automotive News reports that BMW will start to use a new logo to differentiate its top models. This new logo will be black and white, instead of the classic blue, black and white. The fresh, new badge was first shown off at the Geneva Motor Show and will show up on existing models such as the 7 Series and i8 and upcoming models such as the 8 Series, i8 roadster and X7. This new logo will still have the famous roundel, but will now feature the company's full name "Bayerische Motoren Werke" writen out in full. We think that this is a unique move for a very interesting problem that luxury brands are having right now. Hildegard Wortmann, senior vice president of brand BMW, said "We have a strong history of 100 years, and we think that's something we should use. It's a new visual identity [that's] more involving, more emotional." BMW has never had an "upper brand" other than Rolls-Royce. 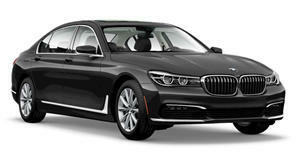 Mercedes can use the Maybach name to differentiate higher end models, but we like BMW's simple approach here. Now when rich CEOs are driving around in their V12-powered 7 Series, they can let others know how much better they are than the peasant who could only afford a 320i.